Judy B. Wood Engelke, 78, passed on April 14, 2019, Palm Sunday. She was born in Minneapolis, Minnesota on August 21, 1940. She lived in South Florida for 50 plus years. Judy is survived by her three daughters: Koni Frey, Tami Sorgente (Luca), and Jodi Shegota (Ivan). Nine grandchildren: Breannan, Natalee, Dakoda, Daniela, Alessandro, Giovanni, Gabriela, Emily, and Lacie. Judy was one of eight children born to Clement and Olga Seng. She was predeceased by her siblings: Daniel Seng, Robert Seng, David Seng, and Jean Seng. Survived by her twin sister Joan McCormick, Richard Seng, and Janet Hanson. As well as many nieces, nephews and extended family. 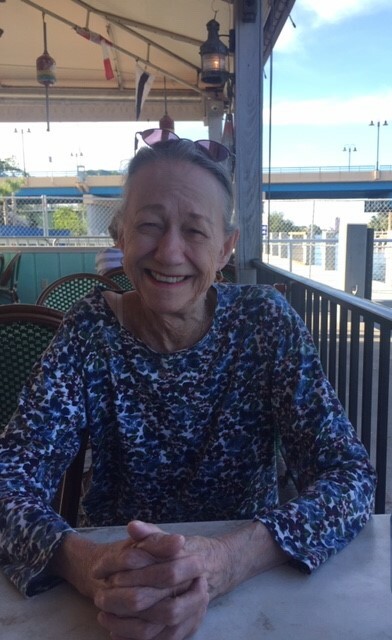 Judy was an avid card player, especially bridge, and a lover of knitting, board games, and bowling. She made absolutely the BEST cheesy potatoes and angel food cake! Judy was a beloved mother, grandmother, sister and friend. A memorial service celebrating her life will be held on Saturday, April 20th at 2:00pm at Glick Family Funeral Home. In lieu of flowers, consider a donation to GrindforLife.org; a non-profit that helps people dealing with cancer.